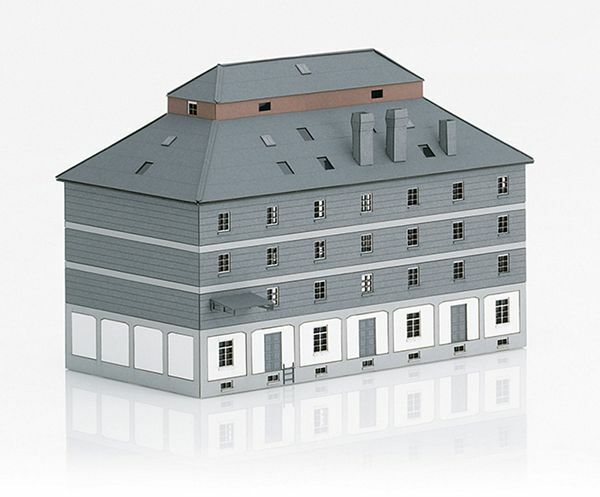 Model: This kit is an intricate and extremely detailed laser-cut model that fits together precisely and that has numerous details. The model's frame, inner area, and superstructure consist of graphics cardstock in different prototypical colors. Window material is included with the model. 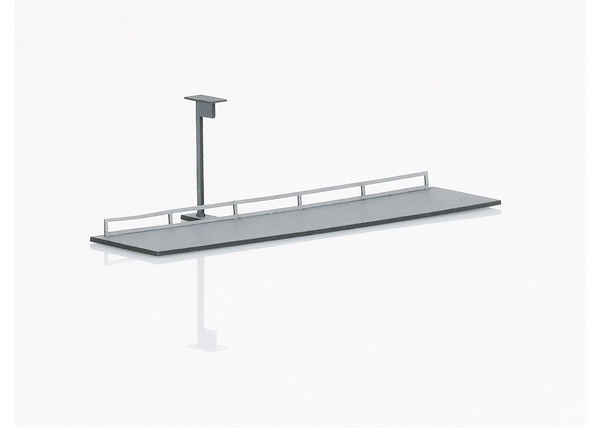 The separation points are pre-marked so that optional slopes or flat set-up positions reduced in height can be easily realized. Both building parts can also be placed separately. Extensive instructions for building the kit are included. 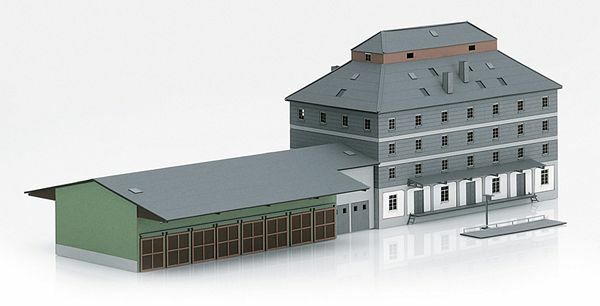 Dimensions of the model warehouse: L x W x H approximately 127 x 64 x 82 mm / 5" x 2-1/2" x 3-1/4". 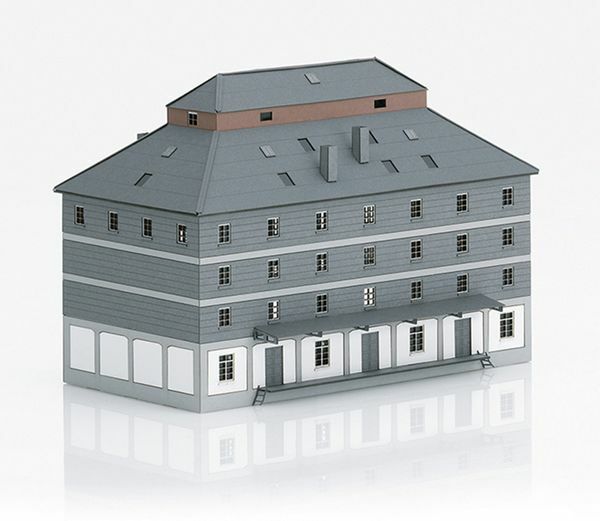 Dimensions of the model market hall: L x W x H approximately 153 x 65 x 39 mm / 6" x 2-9/16" x 1-1/2".